Recently, I asked for the origin of the name Calcutta and received an answer (thanks!). My source was telling – muddy house (cal – mud, cutta – house). These days I found the second source telling me the same name. It still does not mean that it is right. Earlier, I had asked for the STAN in the names of Pakistan, Hindustan, Rajasthan, Kurdistan, Afghanistan, Kazakhstan, Uzbekistan, etc …and especially, the whole name of Baluchistan. Now, I am asking young pundits for the meaning of the name Lahore. Thank you. Thank you, I will take into consideration, although it looks pretty different. My source says the identical name as the current. Cheers. What do your sources say? C’mon guys, don’t be inhibited and get express yourself. Open your minds and souls and scribble couple lines. I hope that my comments are not show stoppers. Show must go on. there will be no surprises with rakhigarhi. So what’s the next piece of evidence we should be keeping our eyes on? They found some chariot in UP. 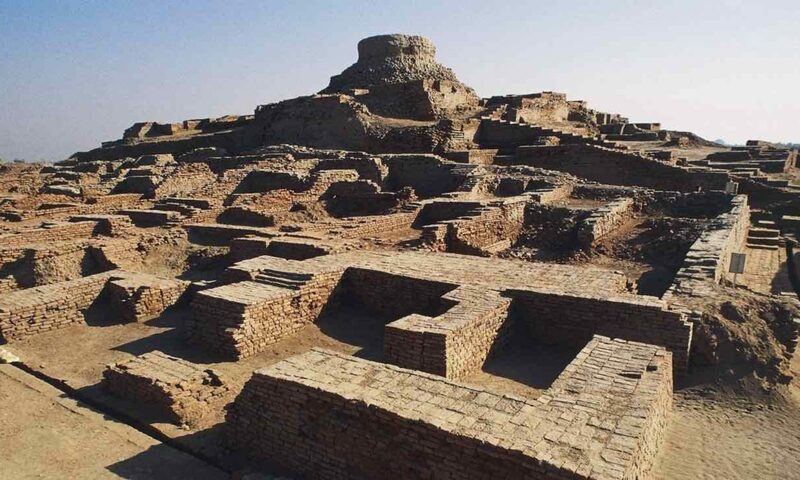 i think getting bronze/iron age ancient DNA from different parts of s. asia will be important. i know that some iron age stuff from south india has been removed from analyses due to conflicts of interpretation. so they are out there. 1. 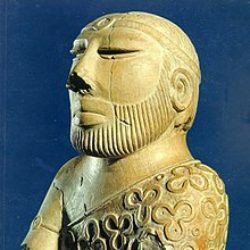 Is it only human DNA which matters, seems like even if they find presence of horse/chariots in pre-aryan time , it does not mean that there was no aryan migration/invasion since tons of horses came to the subcontinent during aryan times only, and there could have been a odd horse etc during pre aryan times. Till now the lines were a bit clear like no horses in pre aryan, horses in aryan time, now the whole thing gets blurred. 2. Does the politics behind all this really affect genuine scholarship on the whole issue, or are their partisans on either side who want to come a specific conclusion . Because i feel, in India at least the right has come to power relatively recently , i am not sure it could really affect the scholarship to the point which is alleged. You wrote “no. it’s not in the media. it’s just something i know because i’ve seen plots which were later published and some samples were mysteriously removed 😉”. If I’m understanding you correctly, you saw something more, probably information about the (Iron Age?) south Indian samples of the study, in an earlier version of plots that got removed when you saw the same plots in a later version? If so, could you disclose how that subset of samples plotted in the version before they got removed in the later versions? As in clustered with whom, population admixture between what ancients, etc. But if doing so is inappropriate, please of course don’t consider doing it and if possible, please also consider directing a comment to me here noting the impossibility because of the inappropriateness. I too think that what I have done here is potentially very inappropriate and for it I apologise very much, but the obsessive curiosity of mine about the topic got better of me. non-human DNA matters. but it’s not dispositive. politics matters. but it can’t overwhelm the truth. the data is pretty robust. Got it. So for (1) nothing can be said for sure. Agree on 2, its just that i felt it a bit absurd that considering how little the right has had in terms of political power to meaningfully derail the whole issue, the whole “Hindutva is fixing the DNA and architectural evidence” sounded a bit alarmist, considering the research on it even from foreign institutes come to more or less the same conclusion. that being said, the indian gov. of all ideologies has made genetic study in india kind of hard due to data sharing and sample sharing rules that are onerous. that’s one reason that a lot of the early genetic work on south asians was done on pakistani samples. even today the 1000 genomes has samples collected from sri lanka, bangladesh and pakistan. but the ‘indians’ were collected from overseas indians in USA and UK. That they do but i would say for them Evolution is not the hill they would die on. If someone calls them ignorant on Flying saucers in 2000BC or whatever, they would mostly shrug and move on. But the whole Aryan/Non Aryan thing is serious business. So i would differentiate them there. I hope for the day we could just conclude this whole thing. I did not want to say it until I find one more source of information. But, if you ask me, my source says the meaning is – breeze, i.e. god of winds, etc. with various descriptions of this wind. Lahor is the Serbian name for this easy, pleasant and refreshing wind. As I said, I will wait for another confirmation. Recently, I wrote here about several dozens of words identical in Sanskrit and modern Serbian. Some researchers state that there are thousands of identical or almost identical words. Soon, I will write about many Serbian toponyms in SA region. I am surprised that no one in India or Pakistan during many decades of discussions never tried to find and explain any of this toponyms. So many toponyms, identical with names of rivers, mountains, cities in Serbia cannot be coincidence. I do not want to insist on where they come from to, but this definitely must be researched. OIT proponents never tried to explain how and when Sanskrit words (and toponyms) came to Europe. Only dr Rajaram said that it was 10.000 years BC but this simply cannot be serious. Apparently, in SA know very little about older European history, probably because of the current school curriculum. I am not so dedicated to Aryan history, this could be and should be more important for your region. For me this is only one of hundreds episodes of thousands of years of stolen Serbian history. There are already so many scientific proves and evidences of its ancient history, including the oldest alphabet in the world (6000 BC), probably the oldest calendar (starting 5508 BC and used until 19th century AC) but official falsified European history still persists (driven by Vatikan, Germans and English). – Is it possible to use DNA from todays people (representative sample) to find out the age of his/her hereditary line? If I understand, by finding the number of DNA mutations, it is possible to find out the origins and age of certain groups. In this case, it is not necessary to search for some specimens from thousands years ago, although they can be very useful and they can be matched with contemporary samples. Is there a possibility that this site can be equipped with a functionality enabling users to contact the site administrators, via email or a contact form or such things, for any and all issues not directly related to the content of the posts? I request you to consider such a thing if possible. If so, could you disclose how that subset of samples plotted in the version before they got removed in the later versions? they plotted with modern south indians from what i recall. use the open thread for that. i don’t have time to respond to emails from this weblog. i run another weblog, have a job, another weblog, and a family. also, i have a public twitter. my moderation touch has been light so far. but in the near future i might not be so tolerant. i tire of the food fights. Okay, thank you so very much for the replies to both of my questions! So apparently at least the possibly megalithic** period samples they collected were likely not some type of Iranics (as in the Irano-Aryan speaking branch of IE) or Scythians or Iranic-admixed people as postulated by Asko Parpola!